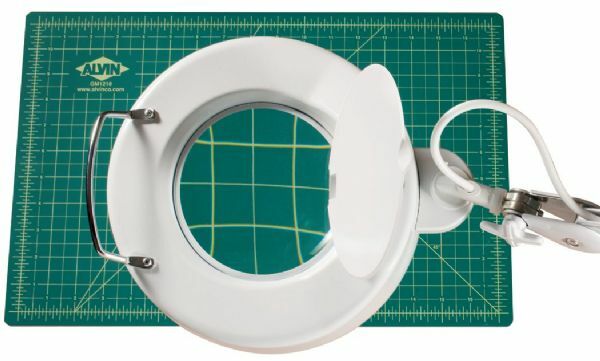 Professional low heat magnifying lamp with high quality extra-large 5" diameter lens features a fully adjustable internal spring-arm with a 45" reach. * Convenient stay cool handle on head for positioning. * 3-diopter glass lens provides 1.75x magnification. 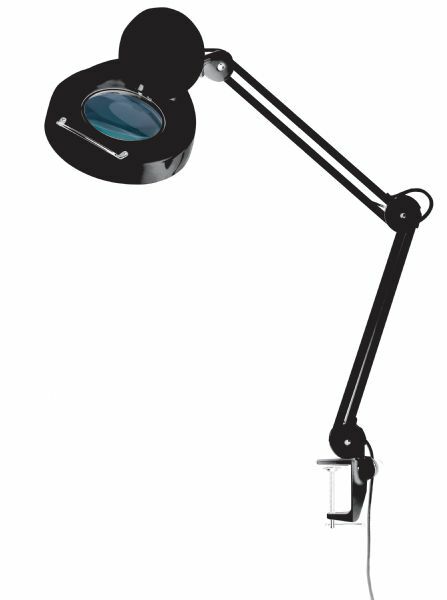 * Removable protective lens cover makes this magnifier lamp usable as a table lamp. * Uses one T9 22w daylight simulation bulb (included). 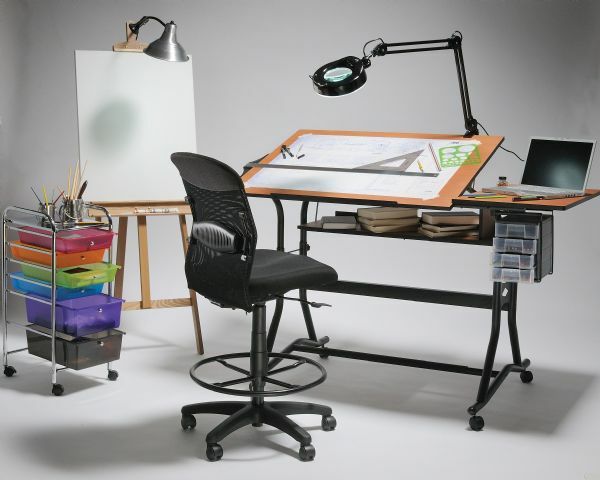 * Includes heavy-duty adjustable desktop mounting clamp that fits up to 2½" thick surfaces. 32" x 10.5" x 6"